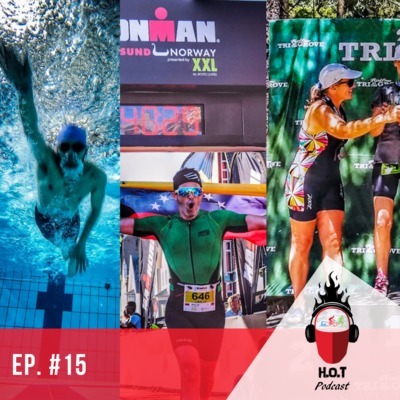 Through real, authentic, raw and enjoyable (RARE) conversations, the podcast digs deep into the passionate journey's & lives of Humans of Triathlon from around the globe and from all walks of life. We aim to inspire and to celebrate this life-changing sport and its humans - one human, one story at a time. Ep. 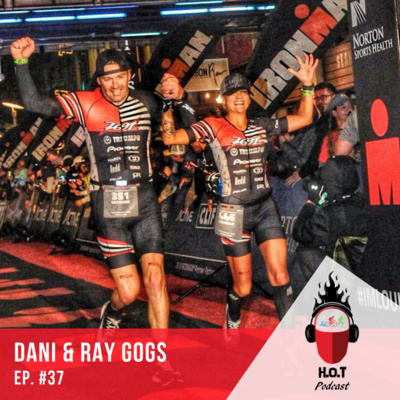 #37: Ray & Danielle Gogarty | Couples That TRI Together - Stay Together! Ep. 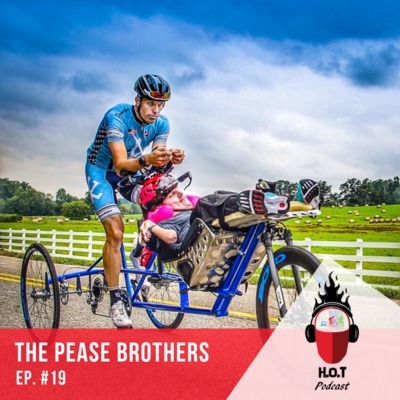 #19 - The Pease Brothers | Journey to becoming only the 2nd wheelchair assisted duo to compete at IRONMAN Kona #TogetherTheyWheel! An inspiring journey of how a wholehearted man born with cerebral palsy and his brother, Kyle and Brent Pease, make their way to IRONMAN KONA 2018 as the only wheelchair assisted team participating in the race with the aim to complete what only one other duo has accomplished before while representing what the Kyle Pease Foundation stands for! #TOGETHERTHEYWHEEL! 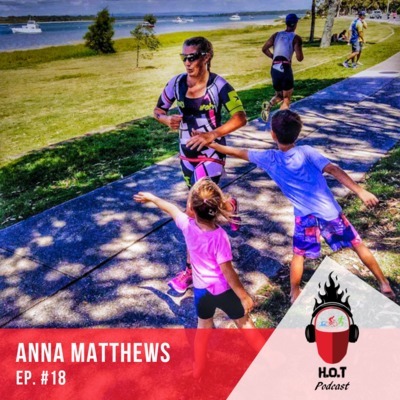 Anna, a 37 year-old single mother of two young kids from Tasmania, Australia, now living in Queensland, talks about her transformation from a very self-conscious girl with low self-esteem to becoming a courageous and independent woman. Even though she was involved with a lot of team sports earlier on, due to her nature, she gravitated more towards the individual sports like running. 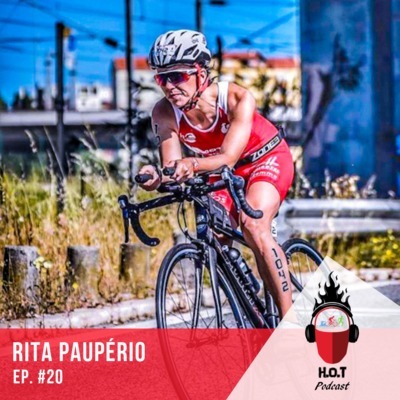 Seeking something more, she then turned to the sport of Triathlon where she really found her home. She's now done 11 Ironmans, 30 70.3s and multiple other distances and races over the span of 15 years and is still chasing her Kona dream which she hopes to realize before her 40th birthday. Al was always athletic as a child, even though he was small, nothing stopped him from involving himself with the more aggressive sports of ice hockey, football & wrestling. But it wasn't until he found endurance sport at the age of 39 that he discovered his passion & talent for it. 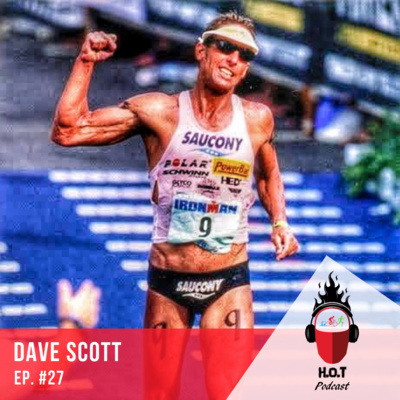 This Canadian went on to run some impressive performances, qualifying for Boston Marathon 10 times & achieving his marathon PB (2:52) at the age of 49! After which, he found Triathlon. He was hooked once again. 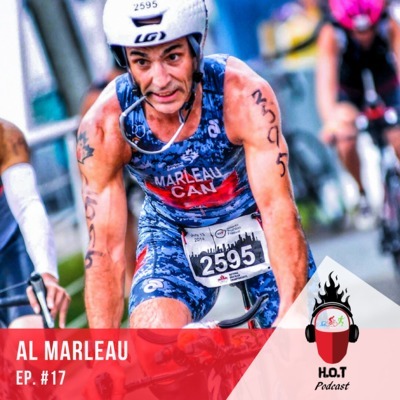 Now, 59 years old and with 20yrs of intense-endurance sport under his belt, Al has had thoughts of stopping, but the community & his passion for the sport keep the fire burning within. 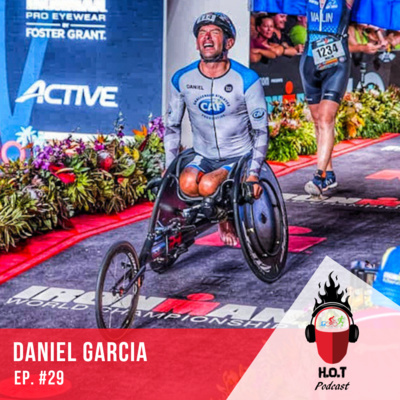 Listen & be inspired by Instagram's @oldmancan as he talks about his willingness to suffer & his journey as an endurance athlete. After having a joyful childhood in Mexico, Jen Pi, during her teenage years, started spiraling down the dark tunnel of depression and obesity which led her to become a young-adult with low self-esteem and confidence, someone who thought they were incapable of anything worth something. But then, during a New Years celebration, she decided she wanted to make a change. A few days later, she started running which opened her world to a number of Sports like pole dancing, circus (aerial routines), weight-lifting, & Triathlon. And it changed her life completely. This, now bubbly, confident & strong, woman will inspire you to not be your own biggest obstacle, to get out there, find what makes you love life, & hold on to it! This episode is a little different, with just the three co-hosts and no guest. 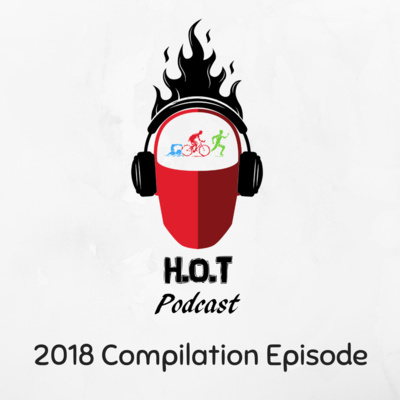 As it has been over 3 months since we started the show, we decided to do a little recap sort of episode - looking back on the previous episodes, the highlights, our favorite moments & takeaways, the troubles of podcasting, what we hope to improve on/add in future episodes, and just catch all you listeners up on what us hosts have been up-to. 15 episodes really went by quickly! Shout-out to all the guests who have come on so far, you all have made the show what it is. And obviously, a big thank you to all of you listening! We really hope you all are enjoying it. Would love to hear your thoughts on the show so far. So, let us know - what you've liked, who's been your favorite guest and why, your top takeaways, what you'd like to hear more or less of, any constructive criticism, or really anything at all, we'd just love to hear from you! Till next time, Keep Tri'ing! 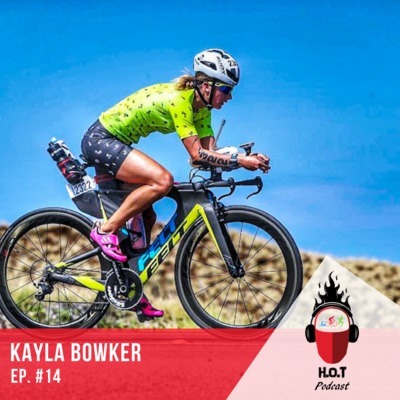 It was during a low point in her life that Kayla Bowker found Triathlon. Kayla, after having dealt with a serious eating disorder, was going though a crappy break up, living off of $50/week in a really crappy apartment, feeling lots of anger, and really not knowing what it was she wanted to do with her life. With whatever little she had, she took herself to a Triathlon. 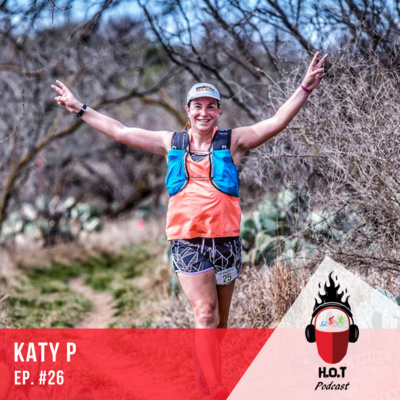 It was during that first race that she felt strength and passion for the first time in a long time, and it changed the course of her life completely. 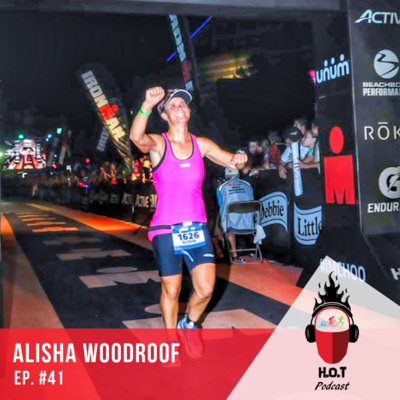 Through a tough journey filled with even more obstacles, she went from rock-bottom to multiple podiums and qualifying for Kona in her 1st Ironman, and most importantly, finding Strength, Passion, & Faith in herself again - which she now shares and helps others find the same within themselves through her coaching business, Where Your Feet Take You. 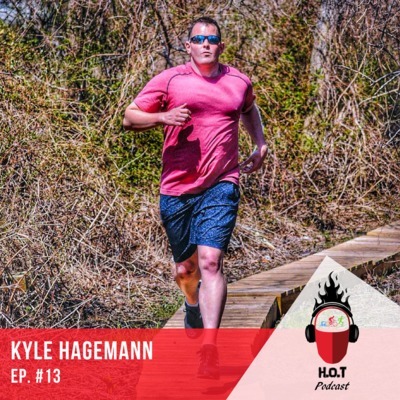 In 5th grade, Kyle Hagemann was diagnosed with a worst case scenario neurological condition called Tourette’s syndrome, put on many meds, gained a lot of weight, & was rendered unable to read/write. 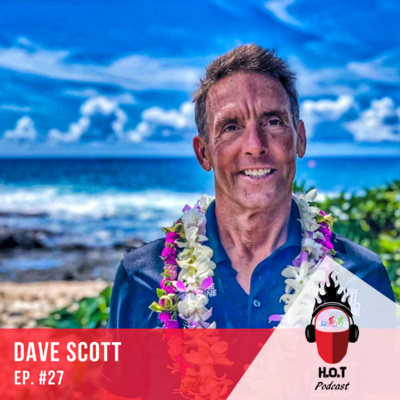 With the kind help of his family & doctors and the raw-positive outlet of running and Triathlon, after a grueling 4-year journey, this NASM certified trainer & IM certified coach is now symptom free and following his heart on a quest to compete professionally in Kona. 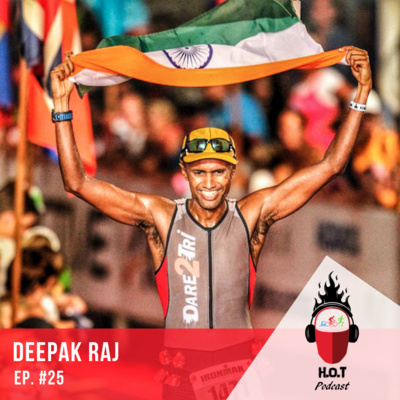 He is self-coached and is a big believer in, what he calls, the '6-discipline rule', with one of the disciplines being Yoga & playing a big role in his life. This man speaks with such passion, love and wisdom. Give the whole episode a listen, you will surely come out of it inspired! This week we have not one but two guests! Lindsay & Guy Berkebile, father-daughter triathletes from the US. 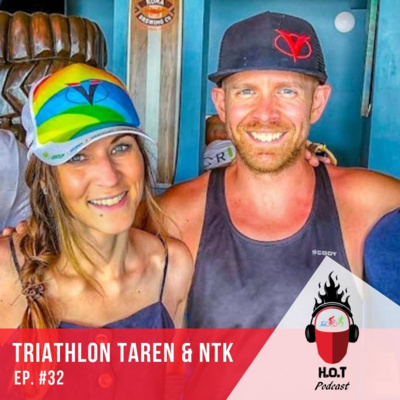 Growing up in a family where both your parents are adventure-junkies and your father is a 5-time Kona Qualifier, it's almost certain that you would be bitten by the tri-bug yourself...and that's exactly what happened with Lindsay. 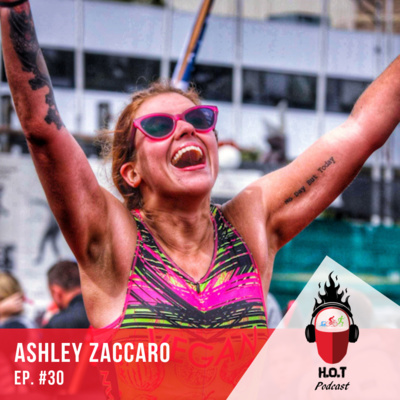 But dealing with an eating disorder, she had to travel through a rocky journey to become the amazing athlete she is today - and her father, Guy played a major role in it. Tune in and decide for yourself if it's a family battle or family bonding! 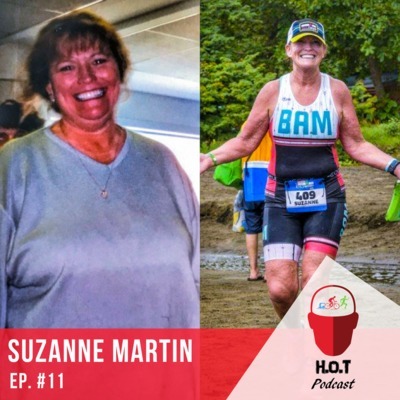 After being overweight and a drug-addict & alcoholic for 25-straight-years, Suzanne got a wake-up call which made her completely change her life around - walking into a gym for the first time at the age of 50! Now in her 60s & still going strong, her story epitomizes that "there's no right time to start, it's wherever you are right now" and it's never too late. Give it a listen, you will definitely be inspired by this woman's journey. 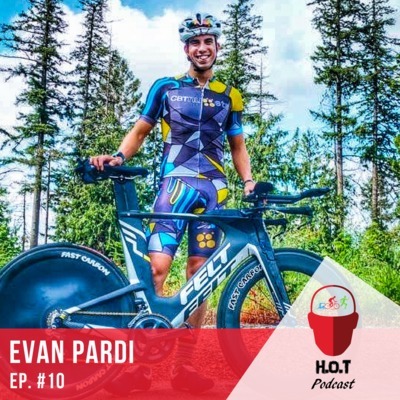 Evan went from being a weak young guy with eating disorders in high school to just recently getting his pro-license with a series of impressive results! 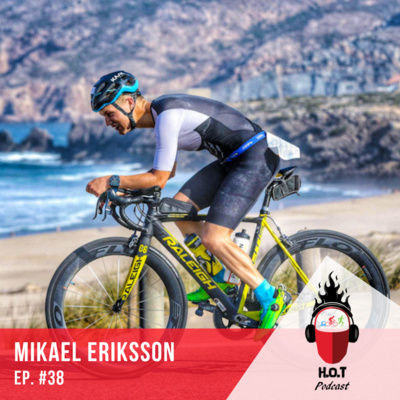 Had a great chat with him about how he dealt with his eating disorders of Anorexia and Bulimia, opened up to society about this otherwise stigmatized topic, and his approach to getting better in the sport through small but steady increments over a period of time and the importance of an off-season. Also a professional double-bass orchestra player, Evan even talks about how his musical career fits in with his Triathlon-isms. 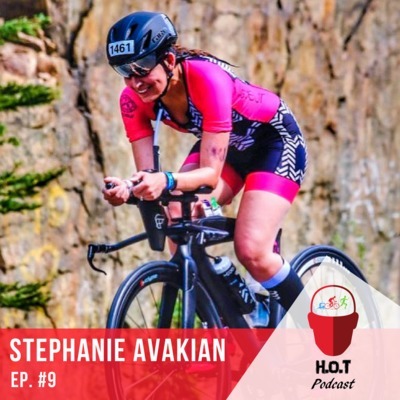 This episode features Stephanie Avakian (@das_athlete) - a mother of 2, wife, graphic designer and a triathlete based in Canada who recently completed her first 70.3 race while managing everything that comes with living & dealing with the chronic pain and fatigue of diseases such as Fibromylagia & Arthritis, and even degenerative disk disease. Had a fun and insightful conversation with Stephanie about how she's come to accept her body for what it is, adapt her dream to fit what her body allows her to do and be grateful for it. Loved everything about her, her journey and what she had to say! 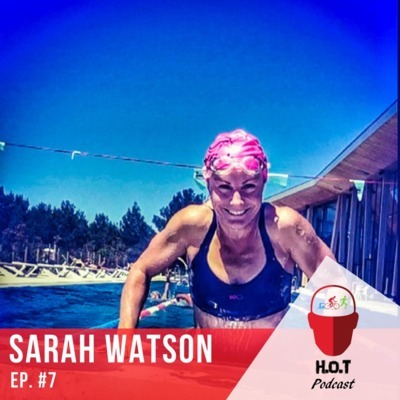 This weeks guest is Sarah Watson - relatively new to the sport of Triathlon, Sarah did her first race just a few years ago. 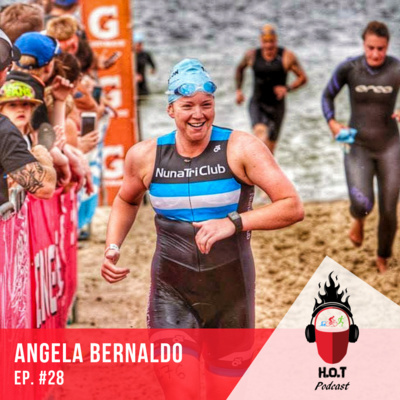 However, she has already qualified for & competed in the 70.3 World Champs. But that is not what makes her story amazing! 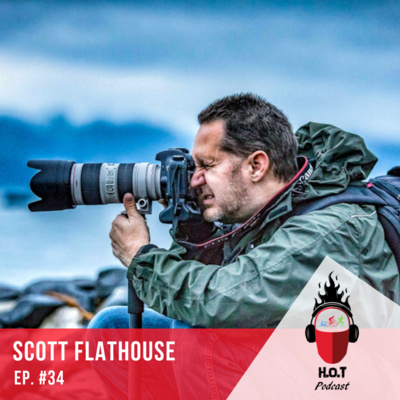 Despite all of the physical feats she has accomplished, her greatest victory has been within herself; a veteran of the Australian Armed Forces, her tours of duty, especially in the intense combat environment of Iraq, left invisible but lasting scars. She has wrestled with the demons of PTSD, Anxiety & Depression. 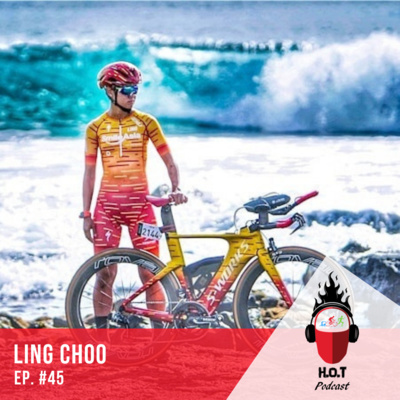 And with the help of cycling & Triathlon, she has come out the other side with lasting insights into the importance of living in the moment. 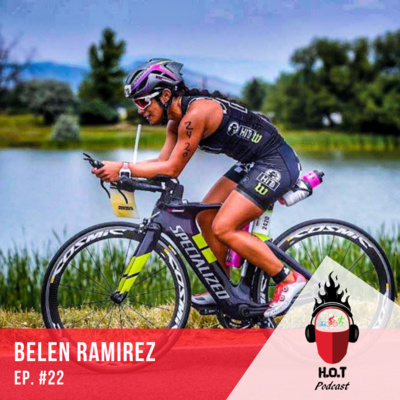 Now, as she sets her sights on her first full Ironman, she shares with us a message of resiliency & healing through this sport of Triathlon, that we all love. Ep. 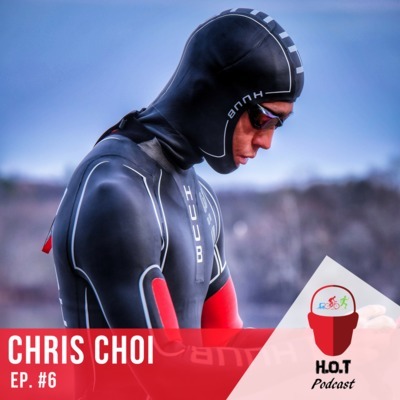 #6 🔥🎙features Chris Choi, a kind, shy, strong and honest - designer, tattoo-enthusiast and LGBTQ triathlete - who has dealt with and overcome multiple challenges of childhood bullying, drug addiction, depression, suicidal thoughts and mental illness. 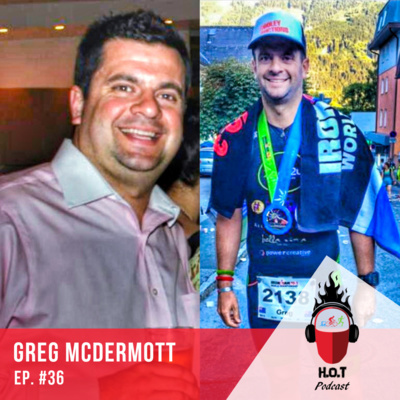 Chris was very open, raw and honest about his experiences and journey, his passion for racing, and how Triathlon has saved his life. 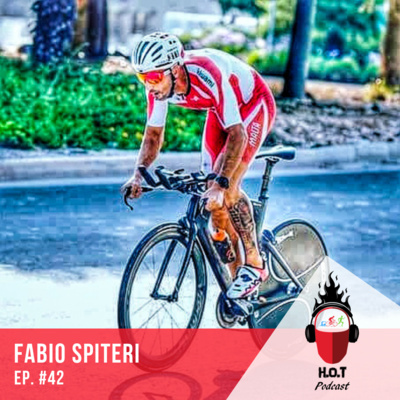 This man took up Triathlon only 4 years ago and has already done 6 IMs, 15+ 70.3s, multiple marathons, and even some extreme Triathlons. As he says himself - once an addict, always an addict. But he's been strong and fortunate enough to make that addiction a healthy one. Think it was an insightful and important episode, so please do have a listen and share with friends & family. If we're able to help just ONE person through it, it will have been worth it. Ep. 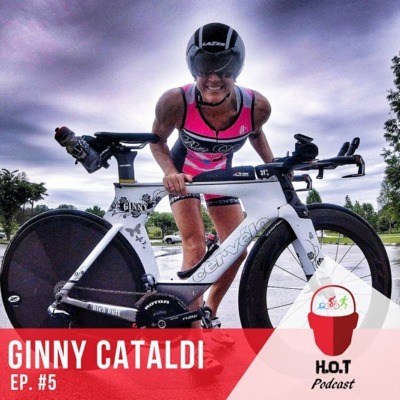 #5 of the H.o.T Podcast features Ginny Cataldi (@ginnylovestri24) - a mom of two kids, multiple time IM Kona finisher & Boston Marathoner, with tons of podiums/wins under her belt across various distances, & above all else - a badass human-being & a source of inspiration to many! Hope you enjoy the episode! 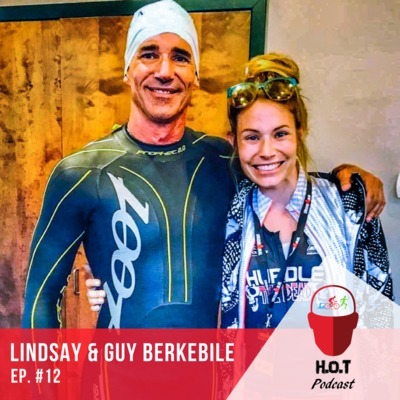 We talk all about - how after a divorce and when she felt her life was incomplete and passionless, Ginny found herself through the sport of Triathlon, her journey from a college swimmer who vowed never to swim again after her last swim meet to then becoming a dominant age-grouper across all distances, her inspiration behind her IG account, and much more! Hope you enjoy the episode! 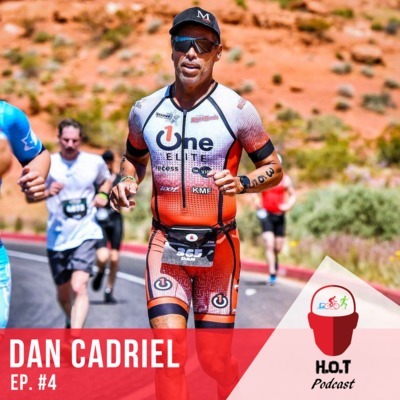 This episode of the H.o.T Podcast features Dan Cadriel (@trimandan), a veteran of the sport of triathlon with over 30 years of experience! 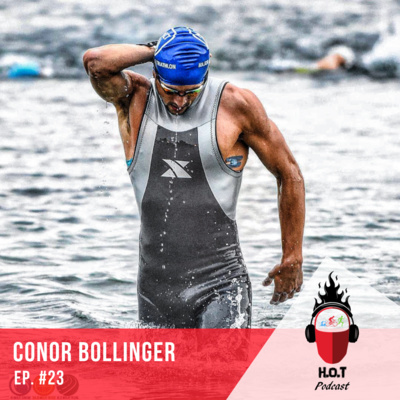 We talk all about his progression over the years, how he's kept himself competitive for so many years, what motivates him, how he balances family and life with triathlon and so much more! 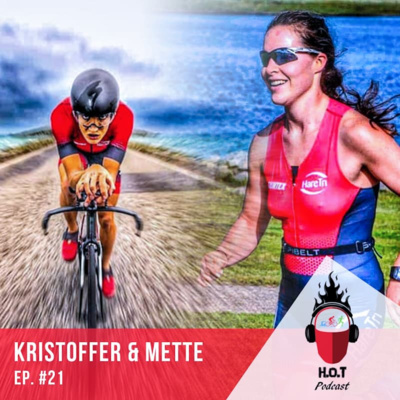 Great fun talking to him and got some good insights from this man who still looks like (and we hope) will carry on in this sport for years to come - which is pretty much what every triathlete wants, right? To be able to do this sport, we all love, for as long as we possibly can! 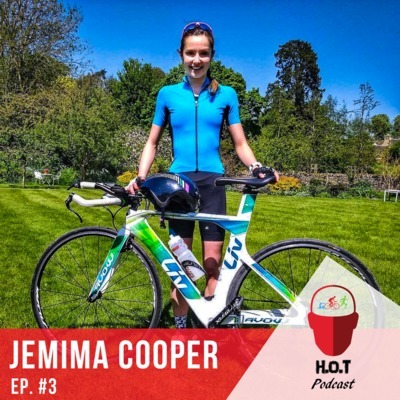 This episode of the H.o.T Podcast features Jemima Cooper, a professional ballerina turned triathlete, in the UK, who now has big aspirations of turning pro in the world of triathlon. 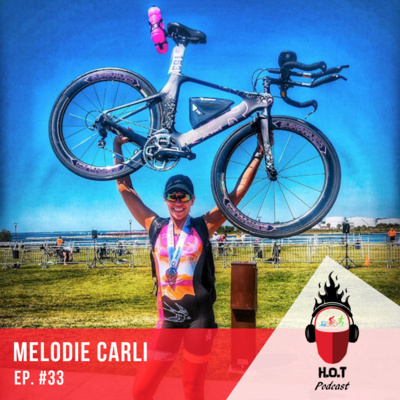 We talk all about her amazing journey of self-discovery after leaving ballet and finding triathlon, how triathlon reignited a real flame inside of her, why she aspires to become a pro, and lots more! We had great fun talking to her and have a good feeling she's going to go places in this sport. Hope you enjoy the episode! 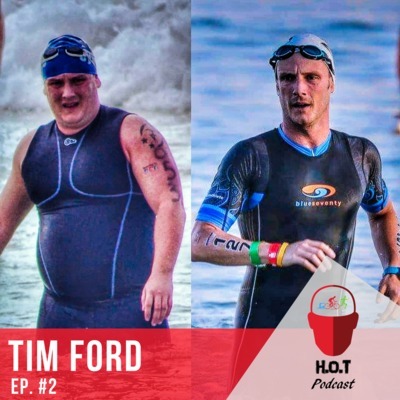 In this episode we bring you the story and journey of Tim Ford, an Australian triathlete based in Sydney. Not too many years ago Tim weighed 120kgs and in denial of how big he was. 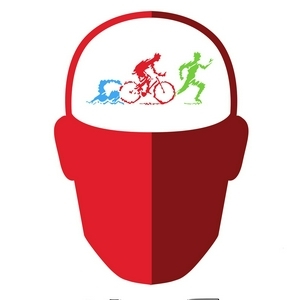 He then found Triathlon - which changed his life and as he says 'saved him'! 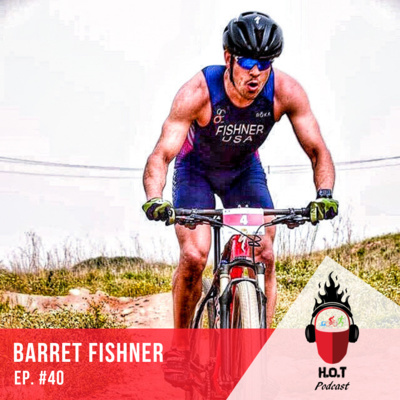 This now-triathlon-coach not only went from overweight bloke to fit triathlete, but a top one at that - standing atop of multiple podiums over the years. 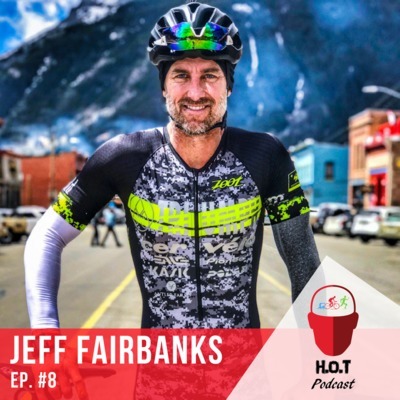 Loved chatting with him and getting insights into his physical and mental perspectives around weight-loss, health and injuries, his own podcast, and more! Hope you enjoy the episode! 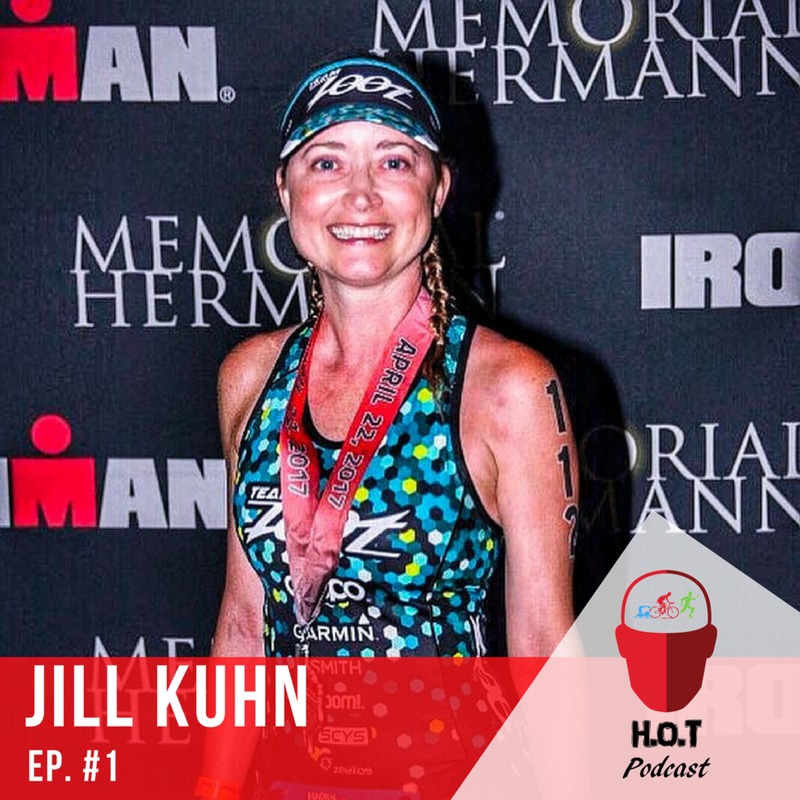 Excited to bring you Episode #1 of the H.o.T Podcast where we bring to you the story and journey of our first ever guest - Jill Kuhn - (@ironwillironjill), a wife, and a mother to 4 active young boys. 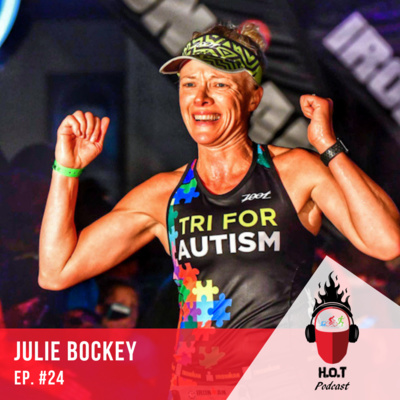 Along with all the responsibilities of her family, Jill deals with Rheumatoid Arthritis (RA) and a slew of other autoimmune issues but refuses to let any of these issues keep her from doing what she loves. 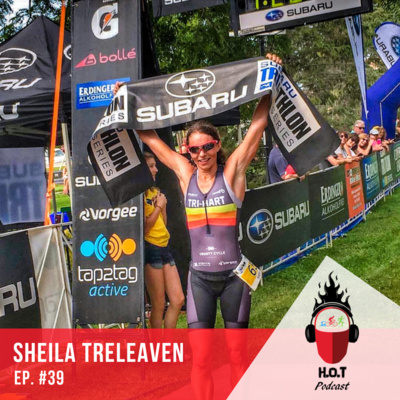 She is an Ironman finisher and an ultra trail runner recently completing her first 100k run! Was a real pleasure chatting with her about her journey. Such an inspiration to everyone out there to not take no for an answer and make the best of whatever's been dealt to them! Couldn't think of anyone better to have on as our first guest. Hope you enjoy the episode! 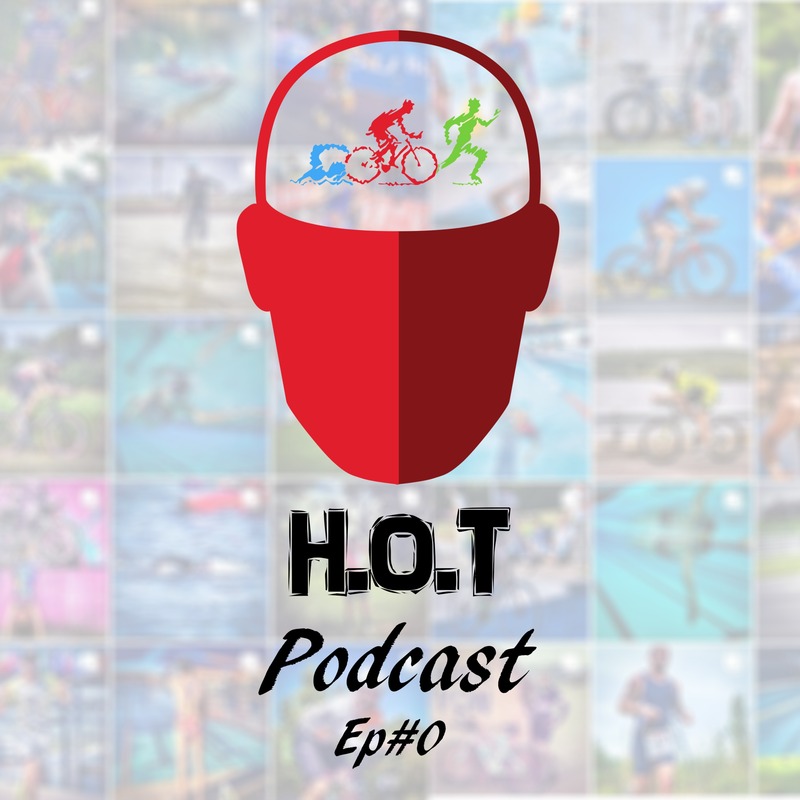 Introduction episode of the H.o.T Podcast where we talk about - who's behind Humans of Triathlon and how it got started, a little background of the three co-hosts, what the podcast is all about, what you can expect in future episodes, and more!